The ultimate goal of understanding the business model variations in the digital world is to be able to analyze them and address real-world problems that the business faces. It’s one thing to understand what the business models are and what distinguishes them from each other, but it’s quite another to be able to understand what is going wrong, why, and what results another business model might provide. In Gary Hamel’s 2007 book, The Future of Management, he describes several components used to unpack the business model. There is significant overlap between Hamel’s components and the nine building blocks that make up the business models. All of these components can prompt an appropriate analysis of a company’s business model. Other components that company leaders should analyze include the business’s configuration, company boundaries, and wealth potential, revenue streams, and cost structure. Configuration bridges a company’s strategy and resources as the “linkages between competencies, assets and processes and how those linkages are managed.” Boundaries simply refer to the decisions the company has made “about what the firm does and what it contracts out.” How would each of these components change if the company employed different business models? Hamel outlines four factors of wealth potential: 1) how efficient the business concept delivers customer benefits, 2) the uniqueness of the concept, 3) the degree of fit among elements of the business concept, and 4) the extent the concept exploits “profit boosters” that will allow the company to earn above average returns. I would blend in the canvas building blocks of cost structure and revenue streams to understand the limitations of the company’s cost structure and its potential to open up or shut down revenue streams. How would the cost structure or profit potential be affected by alternative business models? Next we get into an analysis of the business model as it relates to the customer. 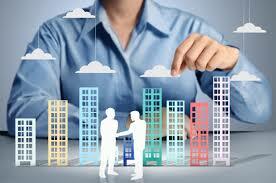 This would include evaluating the company’s relationship with its customers as well as the customer interfaces. A key aspect of most business models is how the company interacts with customers, levels of customer intimacy and self-service, as well as the overall benefits and value proposition for the customer. Naturally, all of these factors come back to the channels that the company sells through, such as a direct sales force, retail locations, and a website. How would the company’s customer interactions change with a different business model? Finally up for analysis are the key activities that the company performs, which will involve the extended value network and key partnerships as well as how it makes use of key and strategic resources. Hamel defines the value network as the suppliers, partners, and coalitions that surround the company and “complement or amplify” its resources. The business model canvas refers to these as key partnerships. Closely related are the company’s strategic resources: the core competencies, strategic assets, and core processes that generate competitive advantage. Are key resources, activities, and partnerships affected by business model decisions? A profit pool analysis will indicate which companies within an industry are earning a disproportionate share of profit relative to share of revenue. This can be particularly revealing if there is significant business model variation within the industry, which may provide clues as to the benefits of one model over another in a particular industry. Consider the following example, taken from the automobile industry. The most profitable area of the auto industry is in leasing, but most companies would be disappointed with such a small share of industry revenue. The largest blocks in terms of revenue are those of used car dealers and auto manufacturing, but neither has significant margins. Auto insurance appears to have both a significant share of industry revenue and relatively high operating margins. Using profit pools to evaluate business models might lead one to think that the sale of cars is ripe for some disruption. Both new car dealers and used car dealers employ traditional business models, but earn very low profits. Financing appears to be fairly profitable when you consider leasing and auto loans, but perhaps modifying the business model would allow for a larger share of revenue. To be sure, company leaders should not invest too much power in this kind of analysis. Simply identifying the company or companies that are most profitable in an industry is not proof that they are employing the best business model. In fact, it is possible that introducing a new business model will disrupt entrenched industry players, even those that are presently the most profitable. The point of the profit pools analysis is to evaluate the industry, compare profitability to business models, and learn something from the analysis that may apply to your own company. The last step in a business model analysis is to take what has been learned above and initiate a scenario planning exercise. In business, scenario planning takes known factors like social trends, technology advancements, and economic growth and feeds them into business simulations that incorporate competitive behavior into the results. After having evaluated the industry and the competition, the business may choose to fill a gap in the marketplace through use of a different business model. Alternatively, competitors that all employ the same basic business model can be blindsided by a new business model brought in by another incumbent. It is not enough to know your company’s business model – you must have an understanding of what your current business model costs and what opportunities you are missing by continuing with your existing business model. Many stagnant businesses are told to reconsider their old-fashioned business models, but they are not equipped with the necessary tools to analyze their current model, let alone consider what alternative business models might mean. With the tools provided here, the average company should be able to understand its alternatives in real-world settings.